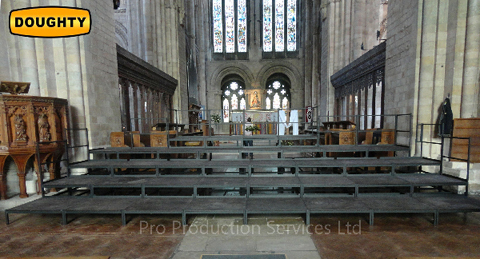 Pro Production Services have been installing lighting, sound and audio visual systems throughout the UK for a wide variety of clients. Whether we are working directly for a venue, a theatre consultant or a main contractor we draw on a wealth of experience and skill to deliver state of the art lighting, sound and stage engineering solutions. 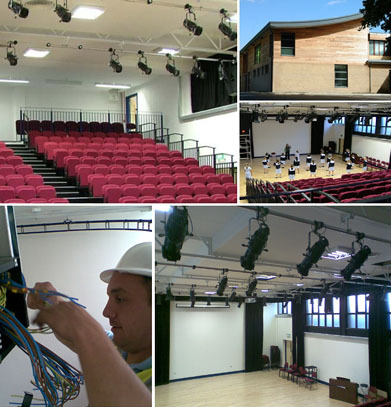 We have designed, specified and installed equipment for auditoriums, studio theatres, dance studios, rehearsal rooms, radio and TV studios in schools, colleges and universities alike. You wont just find us working within education. We have installed systems in houses of worship, conference centres, arts centres, museums, commercial theatres as well as pubs, bars and nightclubs. Whether you are planning a refurbishment of an existing space or embarking on a new build, we will work with you and your team to deliver the technical solutions you require. Please Contact Us for any installation enquiries. We look forward to hearing from you.